Augmented Reality and social change: how can we use tech to bring stories to life? Augmented reality - or AR - has the ability to enrich all types of content, giving users the opportunity to experience a mixture of real life and computer-generated images through a device. Its use cases are potentially vast, spanning PR and marketing, education, gaming and recruitment, amongst others. AR is also having an impact on the charitable sector, supporting fundraising initiatives and raising awareness of global causes. 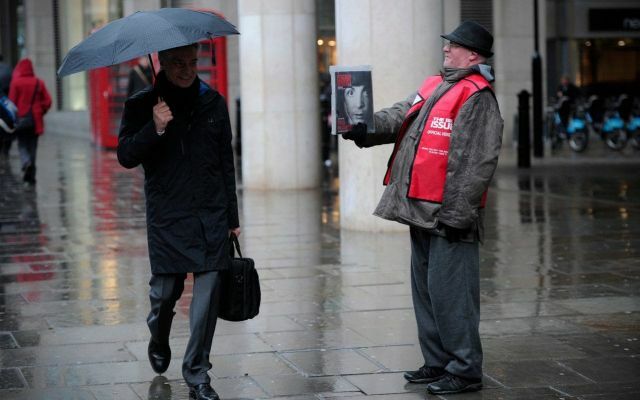 This week, The Big Issue launched its latest issue using augmented reality (AR) technology, with the goal of bringing vendors' stories to life. The technology, launched in partnership with tech company Konica Minolta, allows readers to unlock interactive content - such as a video of cover vendor Ann telling her story. She’s just one of thousands on Britain's streets, looking for support from charities like The Big Issue to turn her life around. When it comes to driving social change, AR has vast potential. Not only does it enrich content, as with the latest Big Issue, but it takes a message to a wider audience and promotes empathy, placing the user in someone else's shoes. Charities, NGOs and other organisations looking to drive social change can look to big consumer brands as examples of AR-driven engagement. For example, Pepsi's AR bus shelter and IKEA's Place app. And beyond The Big Issue, non-profit organisations like the International Committee of the Red Cross (ICRC) are already using AR to raise awareness of the reality of war, following the launch of its "Enter the Room" app in 2018. AR can be a relatively cost-effective way of captivating users through up-to-date, engaging content. Organisations must take the example of The Big Issue and look towards innovations like AR if they are to successfully engage communities, drive social change and raise money for a cause in the digital world. Will we ever see social media as a force for good?